Do you have a project idea but don’t want to wait 6-8 weeks for an order to arrive from eBay? 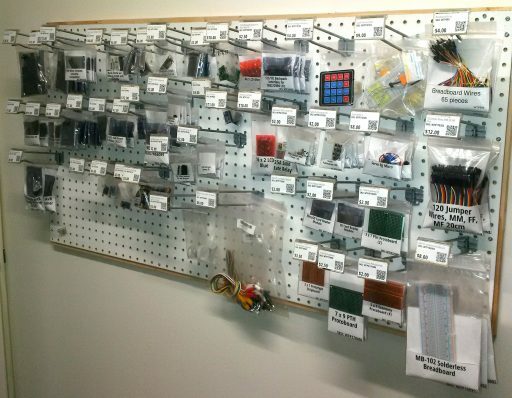 Did you know that Saskatoon TechWorks has a store that is stocked with a variety of common items you might want to use in your project? Browse our inventory here. Now, admittedly, it’s a bit heavy on the Micro/Arduino side. What would YOU like to see stocked in our store? Let me know! Yes, I did work at Radio Shack back in the early 90s. Why do you ask?